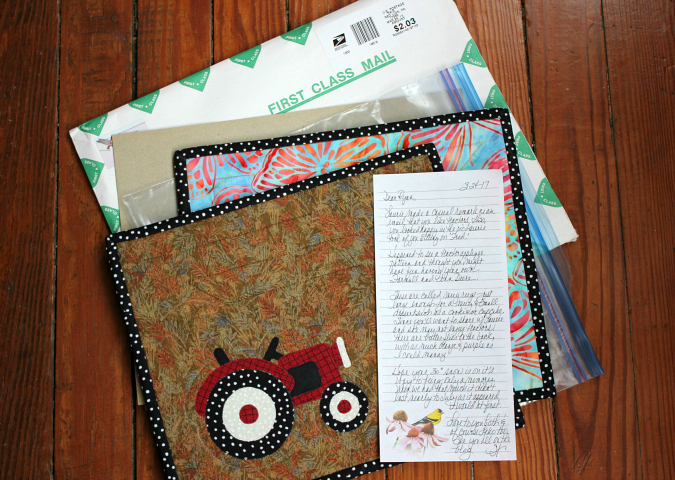 inside the package were two handmade place mats. 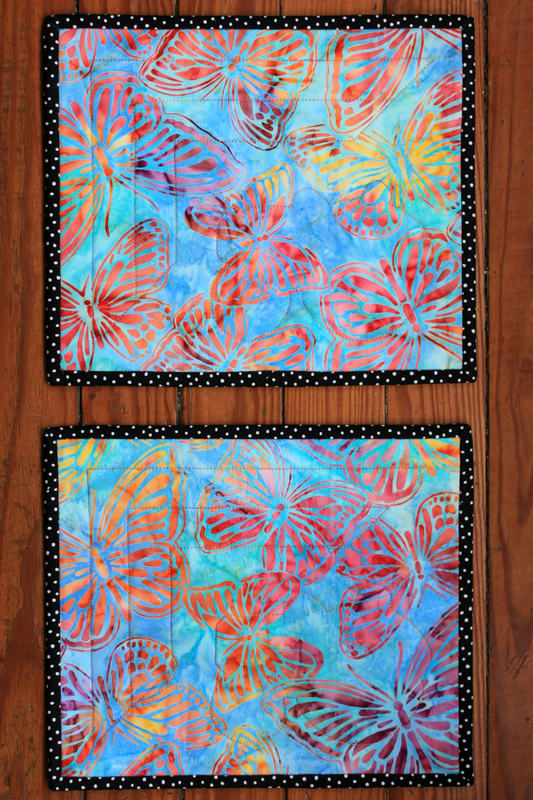 one side had a tractor applique and the reverse side had butterflies. 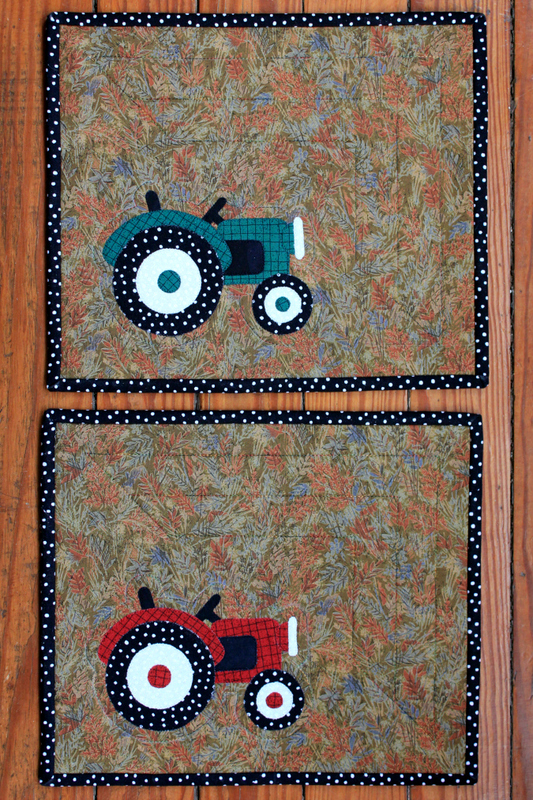 when we visited ryan's aunt and uncle at their cabin this past august, ryan fell in love with their tractor, so sandy thought of ryan when she found these two tractor appliques. she included butterflies on the reverse side for me since i love butterflies (in my two favorite colors, purple and orange). the package was such a pleasant surprise after a long day at work and we just love the place mats so much! such thoughtful sweet mail to receive! thank you so much, aunt sandy! They are beautiful! Sandy is an excellent sewer; everything she makes looks perfect. What a nice surprise and so very thoughtful! Wow! They are perfect and so appropriate. I wish I could have the patience to sew like that.